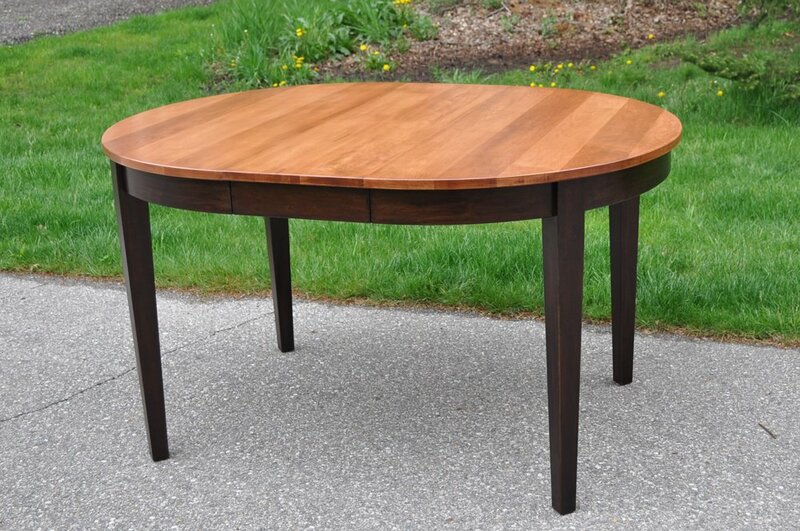 42" round table extends to 66" with the addition of 2 matching leaves. The maple set is shown with a hickory stained top and dark walnut dyed base. Matching chairs have hickory stained seats on the dark walnut frames.